Last modified on Saturday, February 7 2009. The image above shows a section of normal neuropil, prepared with an H&E stain. What are the structures circled in green? This question was created on February 07, 2009 by jdmiles. This question was last modified on February 07, 2009. 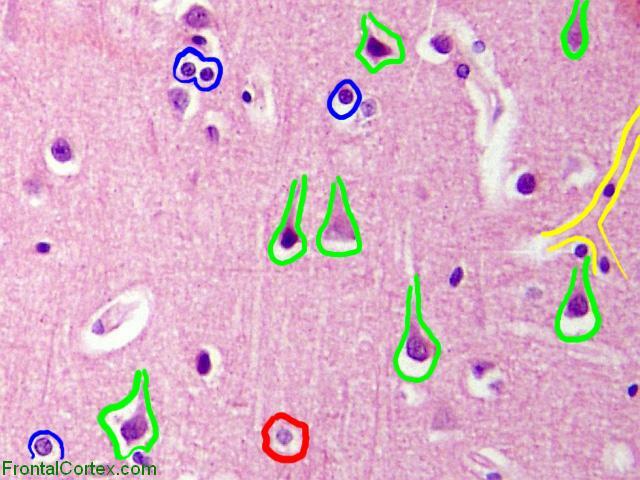 The cells circled in green are neurons. The cell circled in red in the image below is an example of an astrocyte. 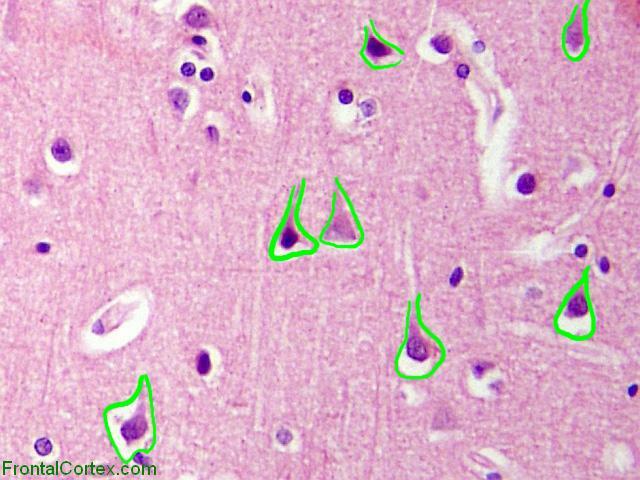 The cells circled in green are neurons.